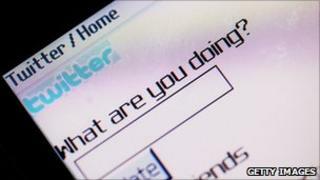 How companies talk about themselves on Twitter feeds or Facebook profiles is to be policed like adverts. From 1 March, the Advertising Standards Authority (ASA) gets powers to police the claims companies make on websites and social networks. The rules cover statements on sites that can be interpreted as marketing, even if they are not in an advert. Until now, the ASA has only been able to oversee paid-for ads online. Since 2008, the watchdog has received more than 4,500 complaints concerning text on websites that it could do nothing about. "These are claims that are very similar to the claims that [the public] are used to seeing in adverts that appear in media like TV, radio, posters and print," ASA chief executive Guy Parker told the BBC. The ASA said that the new powers would help it tackle a growing number of complaints about the way companies sell themselves on the web. Extending the UK advertising code to non paid-for statements means that these, like paid-for adverts, must not harm, mislead or offend. While aimed primarily at sites using the .co.uk domain suffix, the ASA said its powers could also cover .com sites, such as Facebook, if the online space being used was under the control of a UK firm. However, the transient nature of online content may make the rules difficult to police, according to Vincent-Wayne Mitchell, professor of consumer marketing at London's Cass Business School. "I could have an advert up on the internet for a week or for an hour, cause widespread confusion, get sales from that, and then withdraw it," he said. "The only punishment that the ASA has is withdrawal, but I can have that as part of my own marketing strategy," said Professor Mitchell. User-generated content, such as comments left by customers on a website, will not be covered by the extended powers. But the ASA said that such content could be examined if a company adopted it and used positive endorsements to advertise. To encourage firms to comply, the ASA said it would extend a name-and-shame policy which will expose firms that make unsupportable claims. Further sanctions for offenders could see non-compliant material removed from search engines. The ASA said it might also take out adverts to warn people about companies that do not comply with the code. In anticipation of the extra work it will have to do, the ASA has expanded the number of staff in its complaints and investigations unit by 10%.